An elegant ready to wear 3/4 sleeve pullover crop top. 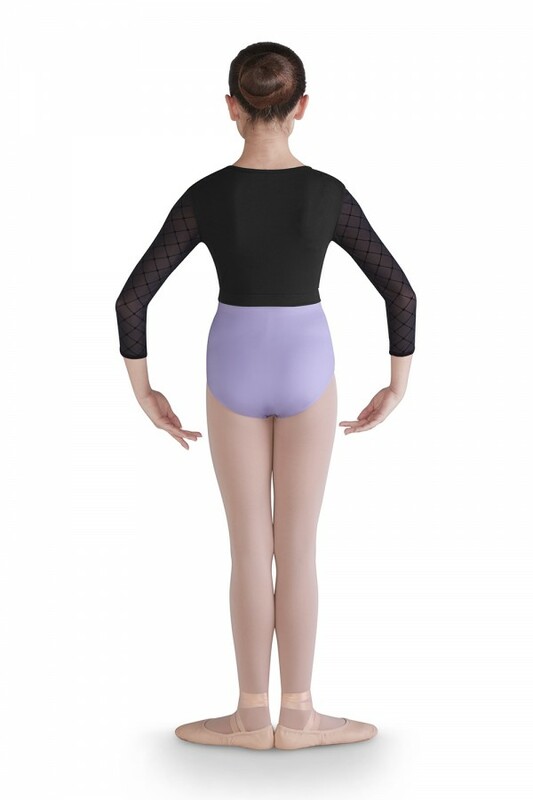 A beautiful gathered front and 3/4 diamond heart flocked mesh sleeves decorate this warm up top. 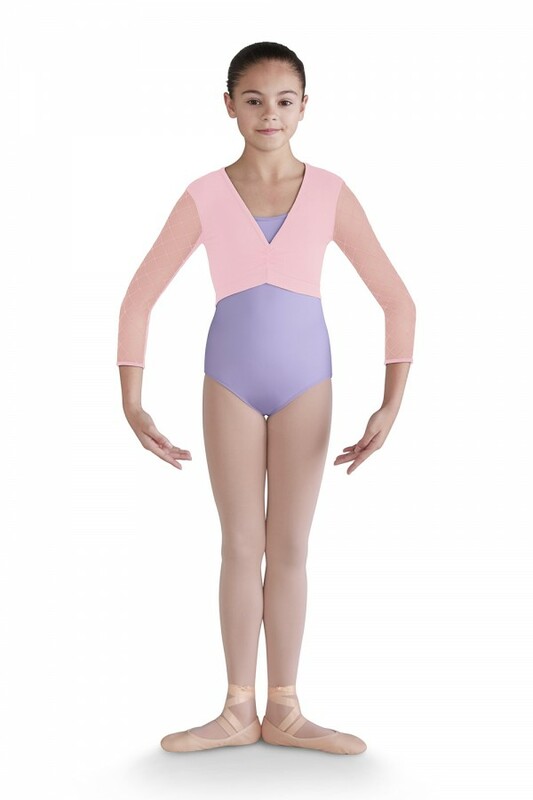 This piece can be pulled on and off with ease and is great for layering your dance look.